Offering learning that goes beyond the classroom, Raffles Institution (RI) maximises the potential of its students by creating a culture of academic excellence and holistic development. The opportunities provided by the school have no doubt been critical to its students’ success in the recent GCE A-level results release on 23rd February 2018. Coming in as one of the top students in her junior college (JC), Fatima Siddiqui from Raffles Girls School and subsequently RI sits down with BrightSparks to share how her heart of servitude was nurtured on those very grounds which enriched her dream of entering the medical field. Being an institution with a culture that supports independent learning, RI empowers students such as Fatima to take their education and learning into their own hands and to take responsibility for their personal growth. “Classroom lessons were taken to a whole new level in terms of us standing on our own two feet and taking charge of our own learning” said Fatima, highlighting that this made classroom discussions dynamic and allowed students to push the boundaries of what they knew and created a lively and conducive learning atmosphere. With independent learning being a central theme to its students’ academic development, the equivalent factor of that in any RI students’ holistic development is found in the schools’ deep-seated service culture. 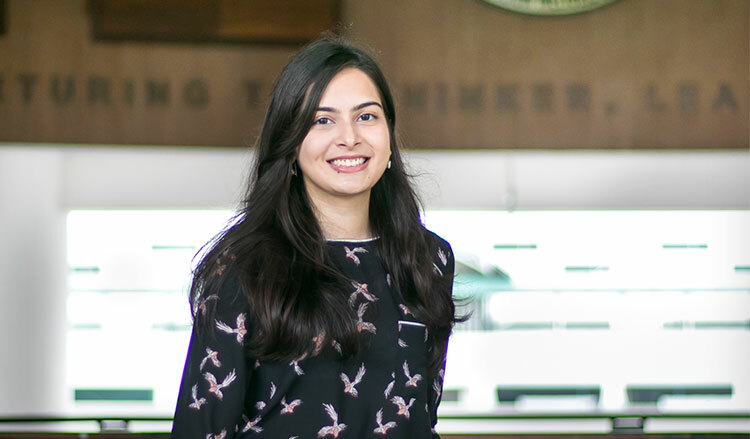 Participating in RI’s International Service Learning and Leadership Elective, Fatima was given the opportunity and encouraged to find and work on her own long-term local service project in Singapore, as well as service projects overseas. Stemming from her passion for service and the desire to study medicine locally, Fatima highlighted several scholarships options, including the NUS Global Merit Scholarship, NUS Merit Scholarship, NTU Nanyang Scholarship, NTU LKC Medicine Scholarship, and with MOH Holdings’ scholarships as an alternative if she were to plan on entering other healthcare fields. With the understanding that taking up a scholarship is essentially a career choice, Fatima explained her motivation for her scholarship and career aspirations. “I want to use my profession to help people in Singapore and overseas. In my overseas programmes at RI, I went there as an untrained volunteer. Thus the service and help I could render was limited. With professional training, I can fulfil my goals more adequately,’ she shares. View full list of scholarships here.